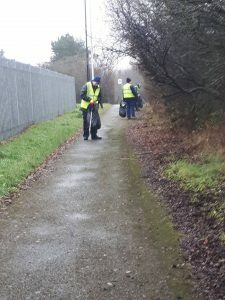 Volunteers were out in the rain today, a great way to start the New Year. 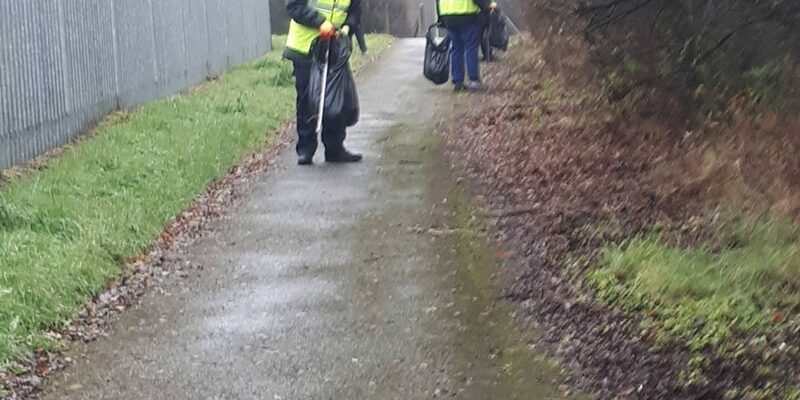 They managed to collect a total of 32 bags of litter from the footpath next to B&Q which leads to Parsons Industrial Estate. 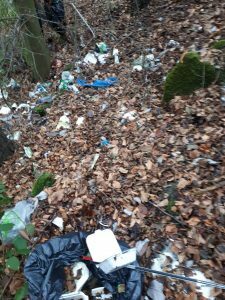 Overgrown vegetation had been trimmed back by volunteers which exposed a large amount of litter. A great job done by everyone. We would like to thank the students from Thornbeck College for their continued support.